Frank, Anne, 1929-1945 > Comic books, strips, etc. Frank, Anne, 1929-1945 > Diaries > Comic books, strips, etc. Holocaust, Jewish (1939-1945) > Netherlands > Amsterdam > Personal narratives > Comic books, strips, etc. Jews > Persecutions > Netherlands > Amsterdam > Comic books, strips, etc. Jews > Netherlands > Amsterdam > Comic books, strips, etc. Netherlands > History > German occupation, 1940-1945 > Comic books, strips, etc. World War, 1939-1945 > Jews > Netherlands > Comic books, strips, etc. Jewish children in the Holocaust > Comic books, strips, etc. Hidden children (Holocaust) > Comic books, strips, etc. 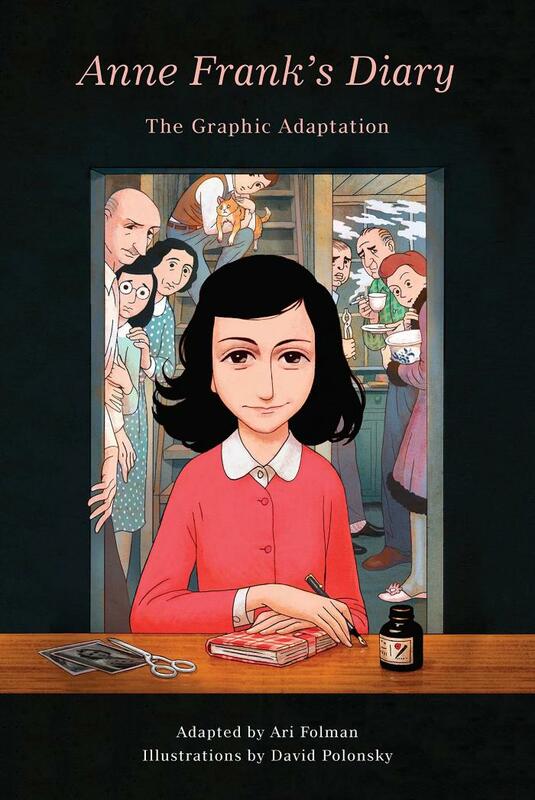 Statement of ResponsibilityAnne Frank ; adapted by Ari Folman ; illustrations by David Polonsky.